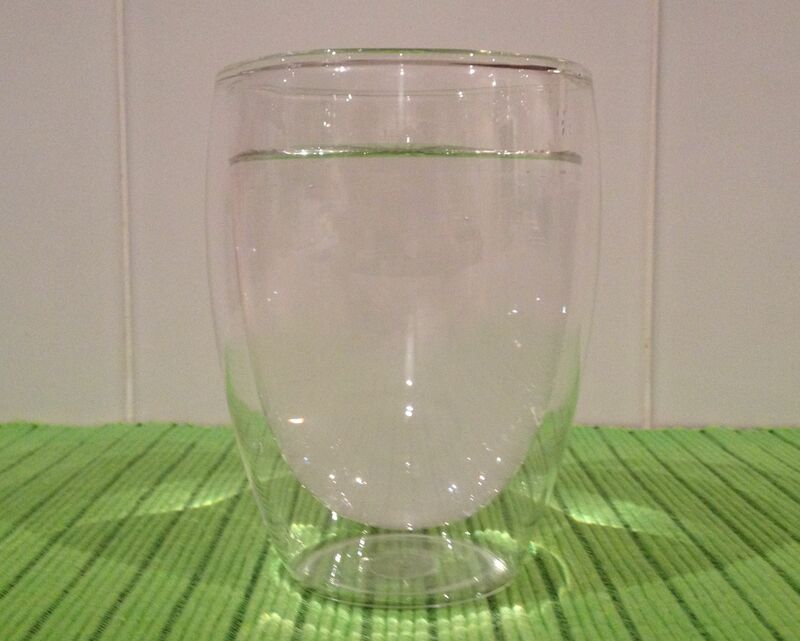 How Many Glasses (of water) A Day? Water is an essential nutrient as the body requires more water than it produces. We can survive without food for weeks, but less than seven days without water. So how much water do we really need? The body contains 50–80% water. Higher levels of water are found in the brain and our muscles. Therefore people with a higher muscle mass have a higher percentage of water in their bodies. filling the space within and between cells. Our daily water requirements depend upon our metabolism and the environment. The normal turnover of water is approximately 4% of our adult body weight, so a 70kg adult requires 2,500–3,000ml per day. We lose water in our urine and faeces and from our lungs and skin. Losses from our lungs and skin are increased in higher temperatures, at higher altitude and in lower humidity and certain types of illness, such as fever. Children and older adults are more susceptible to dehydration. In older people constipation, confusion, falls or stroke may accompany dehydration. Symptoms of dehydration may occur with as little as a 2% water loss. This equates to a 1,250–1,500 ml loss of water in a 70kg adult. There is a risk of forming a kidney stone when we become dehydrated and severe dehydration can lead to kidney failure. The best way to check your hydration level is to monitor the colour of your urine. Ideally urine is clear to pale yellow. Some medications and nutritional supplements, such as vitamin and minerals, alter the colour of urine, so make allowances for these. The kidneys play a major role in regulating the balance of body fluids by changing the volume and composition of our urine. Our fluid intake is controlled by a thirst mechanism that involves hormones, our nervous system and drinking. It is a finely tuned system with feedback mechanisms to the thirst centre in our hypothalmus in our brain and from receptors in our mouth, kidney, liver, heart and blood vessels. Dryness in our mouth due to less saliva being produced sends a signal to the hypothalmus. The hypothalamus responds to the mouth dryness plus the decrease in blood pressure and an increase in the concentration of our blood, by releasing hormones to stimulate the reabsorption of water and salt from the kidney’s filtration system. Hydration is important all year round. In summer we may be more aware of having to top up on fluids because we physically feel hot and feel the effects of sweating. Winter has the hidden impact of air conditioners continually heating up and drying out our homes and work places. Physical activity and sports including swimming have a dehydrating effect if we don’t drink water regularly. Fruit, vegetables and milk contribute fluid as these contain 90% water. For example a 300ml serve of milk and 2 serves of fruit both provide 270ml water. It is therefore difficult to provide a definitive target for additional fluid intake. Aim to have 1.5 litres (5–6 glasses) of water per day. You will require extra fluid if you live in a warm climate, spend considerable time in air-conditioned buildings and are physically active. Sometimes we confuse our thirst and hunger signals. 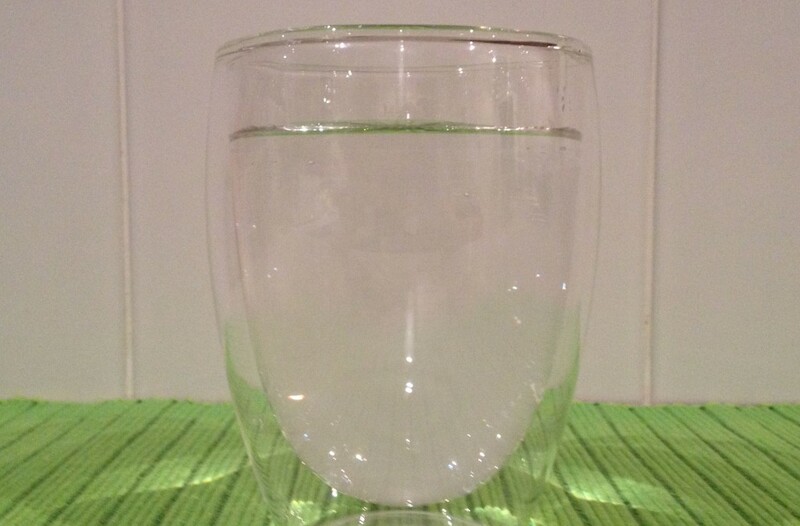 If you think you might be hungry, have a glass of water or two to test whether you are experiencing hunger or thirst. Remind yourself to drink by keeping a bottle of water in sight and at easy reach, on your desk at work or on a table or bench at home, in the car and take one while you are walking. If you have a water bottle, work out the volume and how many full bottles you should consume.